The Kingdom of Cello is in crisis. Princess Ko's deception has been revealed and the Elite have taken control, placing the Princess, Samuel and Sergio under arrest and ordering their execution. Elliot is being held captive by the Hostiles and Colour storms are raging through the land. The Cello Wind has been silent for months. Plans are in place to bring the remaining Royals home from the World but then all communication between Cello and the World will cease. That means Madeleine will lose Elliot, forever. Madeleine and Elliot must solve the mystery of Cello before it is too late. You can also buy this book directly from Pan Macmillan Australia’s website. This is my review for the third book in The Colours of Madeleine series. I’ve tried very hard to be spoiler-free for the whole series in this review, so please, read on! Cello is an amazing place, full of fantastical creatures and places. Storms of Colour cross the land, each different Colour having a different effect on people – some are violent, like Purples or Greys. Others bring pleasant thoughts or sad ones, or they can enthrall you so deeply you forget to eat and waste away. There’s even a Turquoise Rain that brings a sort of crazed euphoria. 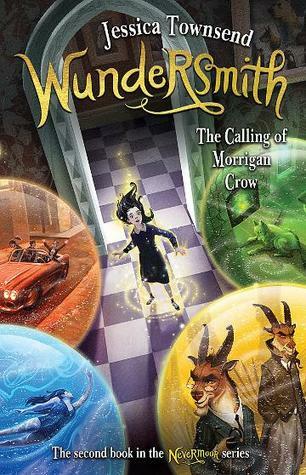 Jaclyn Moriarty’s quirky and rather eccentric writing style just adds to the wonder, and while I was delighted by the first two books, the first half of this concluding part seemed a little less brilliant. I’m not sure if it was the fact that everyone had to get down to business rather than explore the amazing world of Cello, or the fact that the characters aren’t exactly their old selves through a lot of it, but I didn’t quite enjoy it as much as I did the earlier books. That said, the last half was packed with twist after twist. In every chapter, seemingly random tidbits of information revealed through the trilogy were tied together in some way. It really is a masterpiece of planning, and I was completely in the dark before the main twist. I had to put the book down on the train to have a “huh…” moment! This is the last stop on the A Tangle of Gold Blog Tour! You can see all the other participants on the tour by taking a look at this pdf. There are interviews, more reviews and much more. Thanks to Pan Macmillan Australia, I’m very pleased to be able to offer a copy of the first book in the series, A Corner of White, to give away to a resident of Australia or New Zealand! The prize will have the original cover, pictured to the right. You can enter via the Rafflecopter form below. The giveaway will run until midnight AEST on 6 April 2016. The winner will be notified by email and have 48 hours to provide an Aussie or Kiwi mailing address. The information will be provided to the publisher, who will send out the prize.